The list of top prospects taking part in Winter League playoff ball is shrinking and the list of those putting up eye-popping performances is even more exclusive. Here's a look at some of baseball's top ranked prospects who have fared best in their leagues' postseasons. The bat flip alone could've done it. San Diego's top prospect led the Dominican Republic Winter League's most star-crossed franchise into its Championship Series with flair. Tatis belted a walk-off home run in the ninth inning to lift his club to a win over Tigres del Licey on Jan. 10, unleashing a bat flip for the ages in the process. His Estrellas Orientales won their series over Toros del Este, Leones del Escogido and Licey, opening the round robin-formatted postseason with a 10-6 record overall. 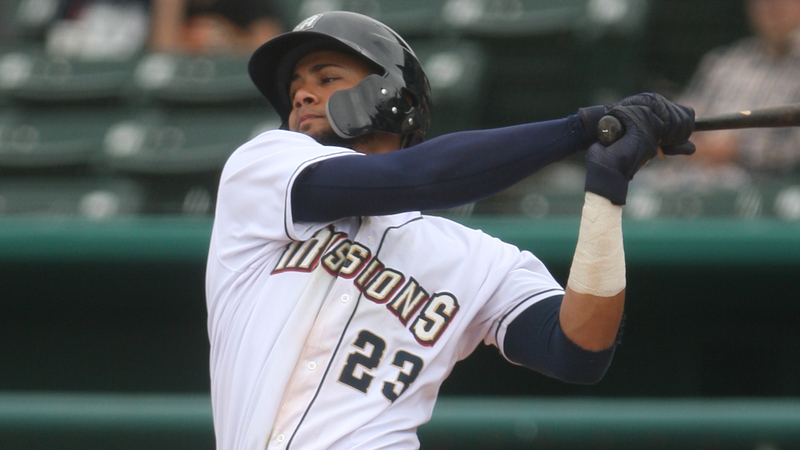 In that stretch, Tatis leads the circuit's playoffs with three home runs, 10 RBIs and a .500 slugging percentage. His playoff slash line is .267/.371/.500 as baseball's No. 2 overall prospect tries to lead Estrellas to a rare crown. The Eastern Stars haven't won a championship since 1968 and have finished as league runners-up 12 times over that span. While Cincinnati's No. 15 prospect hasn't put together the most impressive body of work in the playoffs with a .191 batting average through 13 games, he's made his presence known when he's been able to reach. Siri's seven stolen bases stand second-most among players in the Dominican Republic playoffs and the outfielder has scored seven times during his club's run to the top of the circuit's playoff standings. Among Top 100 prospects, Siri is the only player other than Tatis with a Winter League homer in the past 10 days. Ferguson hasn't had his most dominant stretch in the postseason, but has made his way onto the basepaths even when the hits haven't been falling. Ferguson is hitting .188 in the playoffs but has worked four walks in six games, second-most among Top 100 prospects behind Tatis' five over the last 10 days. San Francisco's No. 27 prospect and the Cangrejeros will battle Indios de Mayaguez in the league's Finals for a trip to the Caribbean Series.